A stationary cuttlefish floats with stretched tentacles. I mentioned previously that the waters around Ko Lipe are teeming with marine life. 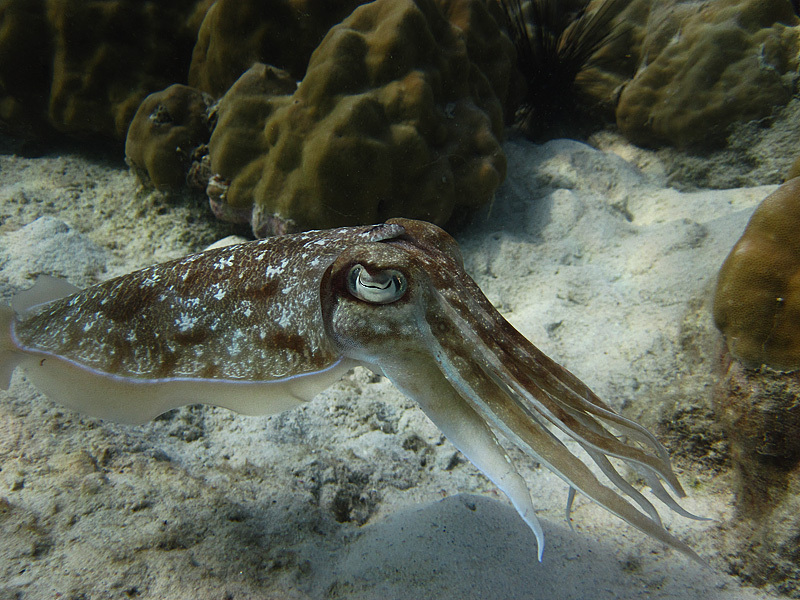 Here is our friend, a cuttlefish, part of the family of insultingly named cephalopods (foot heads, if I may). 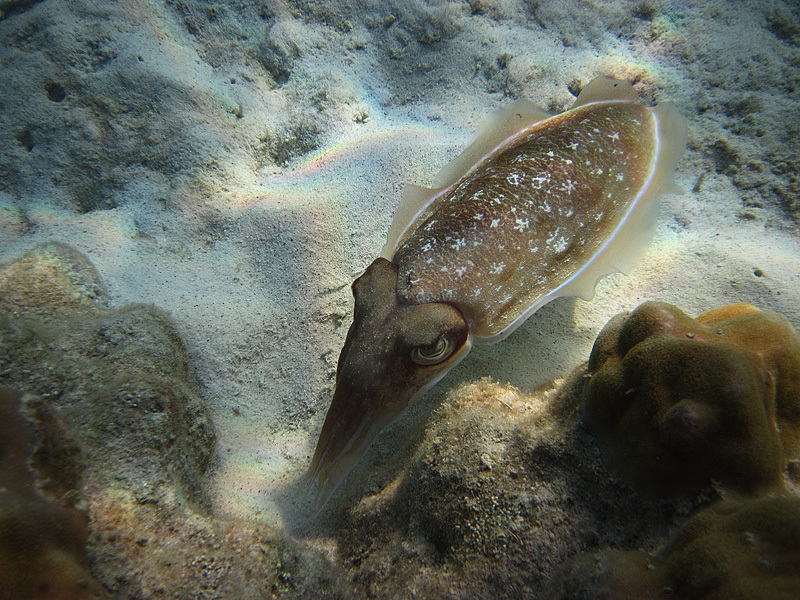 To be honest, I've never seen one of these guys up close until I began snorkeling around Ko Lipe. The undulating skirt that lines the cuttlefish's body is spellbinding and it's easy to forget that you need to go up for air when mesmerized by its motion. The video below will better illustrate. Thanks again to Marco for allowing me to publish his photos and video. An overhead view of a hovering cuttlefish. This creature is arguably one of the most delicious bits of marine life when seasoned and dried like beef jerky. Otherwise, the only thing I know about the cuttlefish is that the primary difference between it and the squid is that the cuttlefish has an oval internal shell. A small video of some underwater life near Ko Lipe. Footage provided by Marco. Spliced together with music by your's truly.